A common consequence of divorce is the need to pay or receive alimony (also known as spousal support or spousal maintenance) and child support. The amounts of these payments can be changed, or modified, as the situations of the parties change. In addition, alimony and child support payments can end altogether in some circumstances. However, the parties cannot simply request a change and have it approved. That’s because Arizona family courts consider several factors when ruling on requests to change or end spousal support and child support payments. 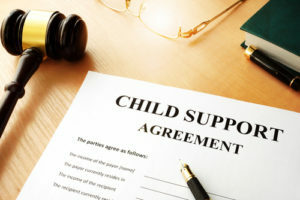 Because it is important to document and justify the need for modification of a child support or spousal support order, it is critical to consult an Arizona attorney who knows how the court will view a request to change post-decree payments. At our Scottsdale, Arizona law firm, the Law Office of Karen A. Schoenau, our lead attorney has focused on post-decree matters such as modification and enforcement for more than 30 years. Clients count on Attorney Schoenau to evaluate their circumstances honestly and provide them with sound advice about changing an alimony or child support order. Job changes that increase or decrease income of payer or payee by at least 15 percent. Loss of access to health insurance. A parent can request a modification of child support at any time. This is also true for modifications of spousal support, with one exception: when the parties agreed (and the divorce decree stated) that they could not change alimony amounts, there can usually be no modification unless both parties agree. The primary exception to this is if one of the parties committed fraud. Not paying child support is a serious violation of both Arizona law and federal law. The court can order wage garnishment, property liens, jail time, credit bureau delinquency reports, or license suspension when a party does not pay court-ordered child support. Although enforcing alimony is similar, there is one important difference: if the receiving spouse does not seek to enforce the court order within three years, they may not be able to recover the arrearages. That makes it very important to move quickly and seek the assistance of a knowledgeable Arizona family law attorney immediately. If you need to change or enforce an Arizona child support or alimony order, or if you need to contest a petition to enforce an Arizona child support or alimony order, contact our Scottsdale family law firm for help. Call Attorney Karen Schoenau at 480-725-1438 or toll free at 888-304-0928. You can also contact us through the online form.